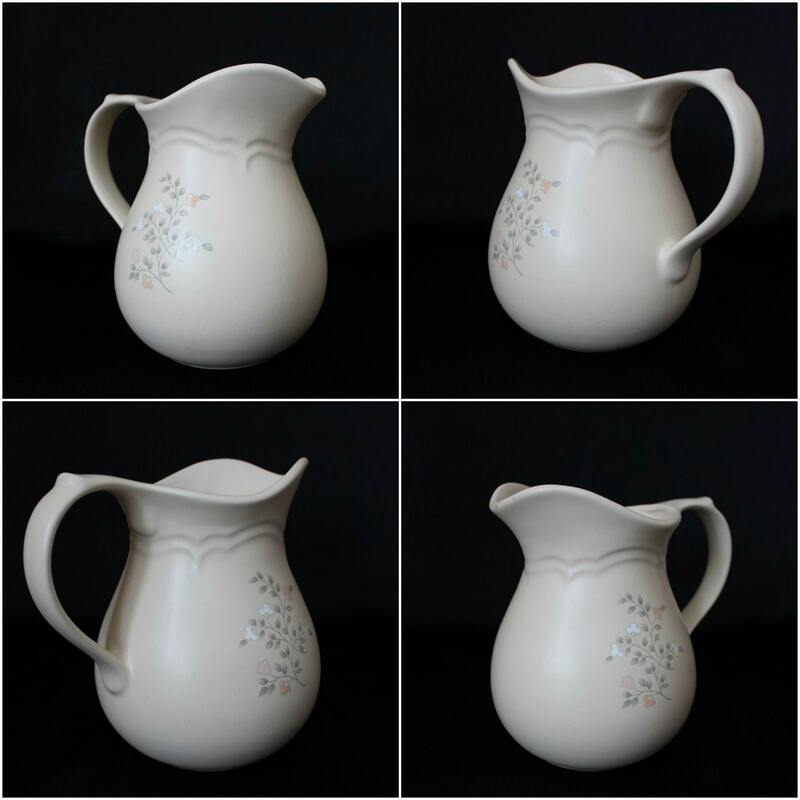 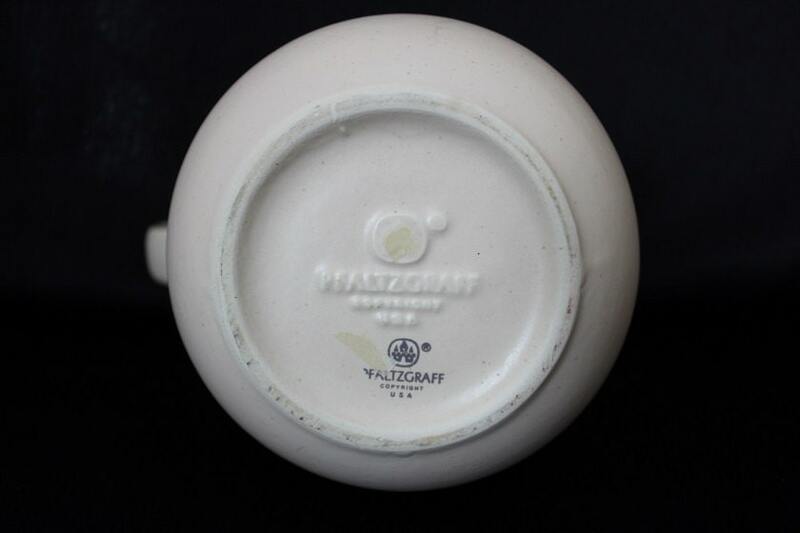 This vintage pitcher was made by Pfaltzgraff during the 1980s. 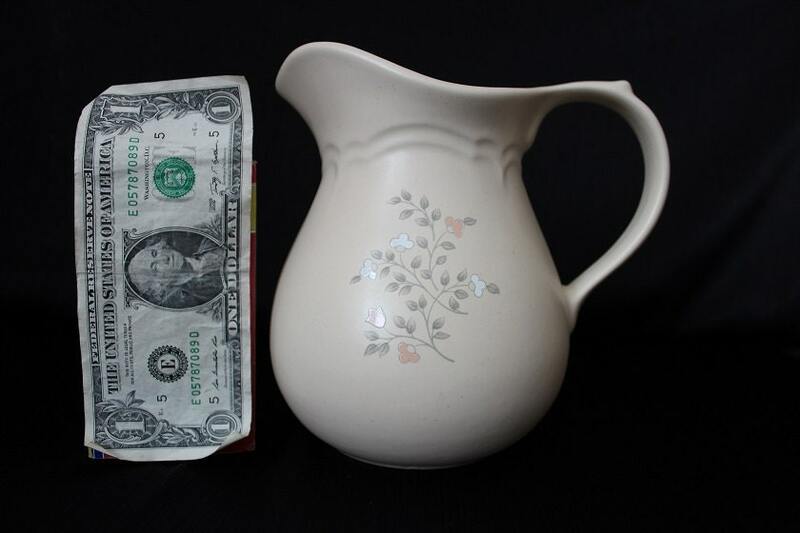 it has an overall tan color and is done in the Rememberance pattern, which is designed with pink, peach and white flowers. 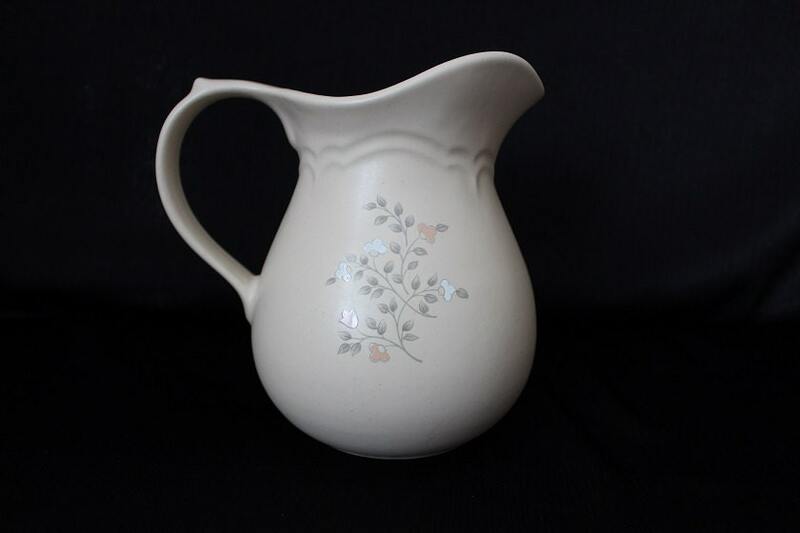 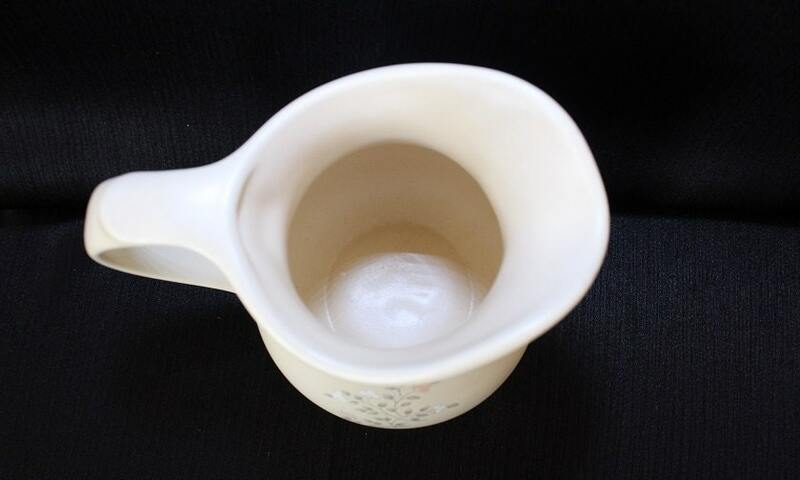 This pitcher is in excellent condition with no cracks or chips.